1. 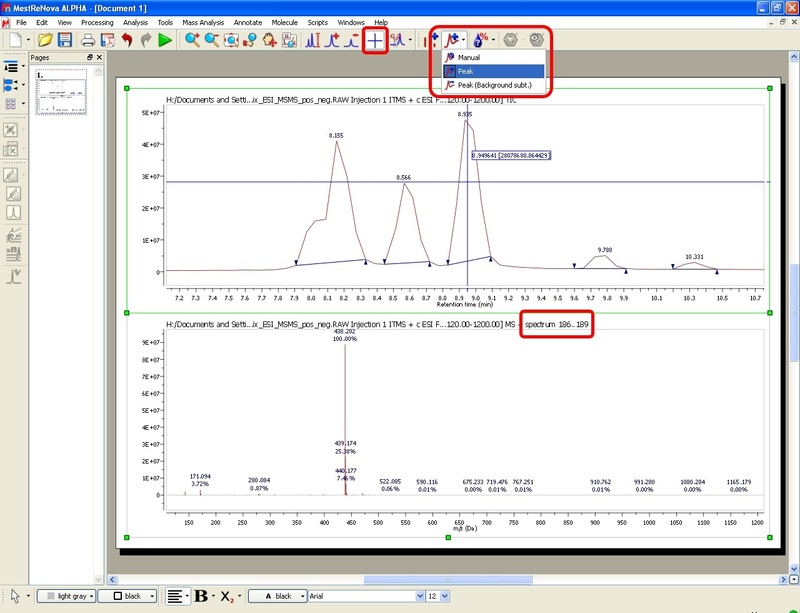 Drag&drop the raw file to Mnova in order to display the TIC (at the top of the window) and the MS spectrum of the highest signal. 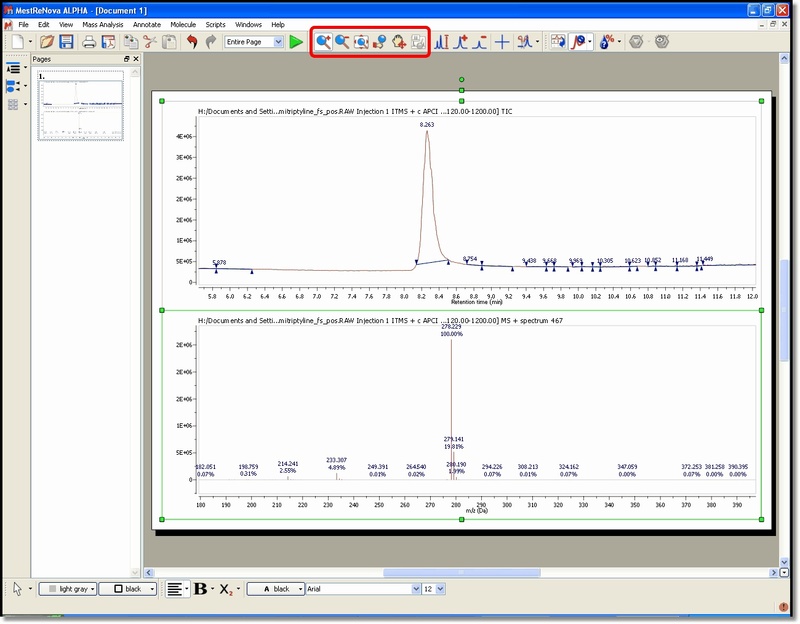 If you want to ‘CoAdd’ the whole peak, just select the mode ‘Peak’ under the ‘Mass Analysis/Spectrum Selection Mode’ menu and then click on the desired peak in the TIC. 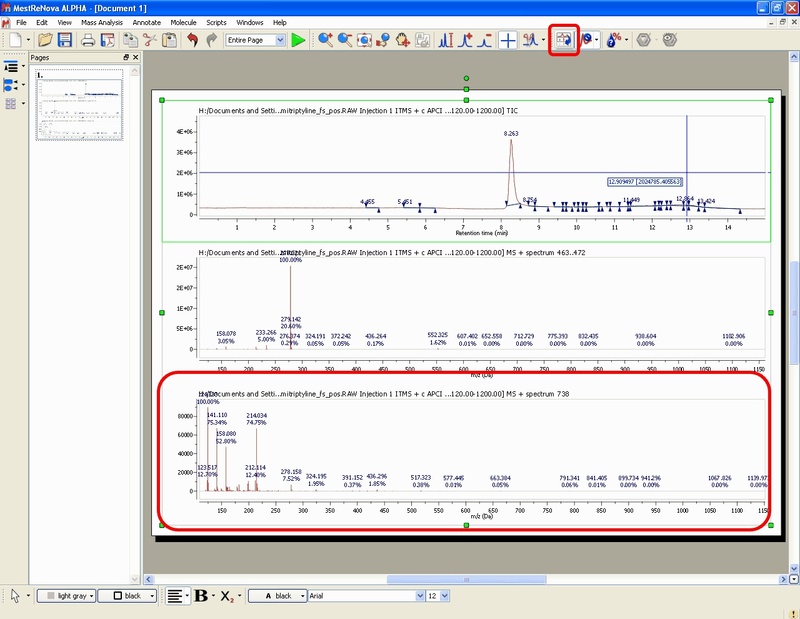 To generate a ‘CoAdd’ of the whole peak with background subtracted, just select the mode ‘Peak (Background Subt. 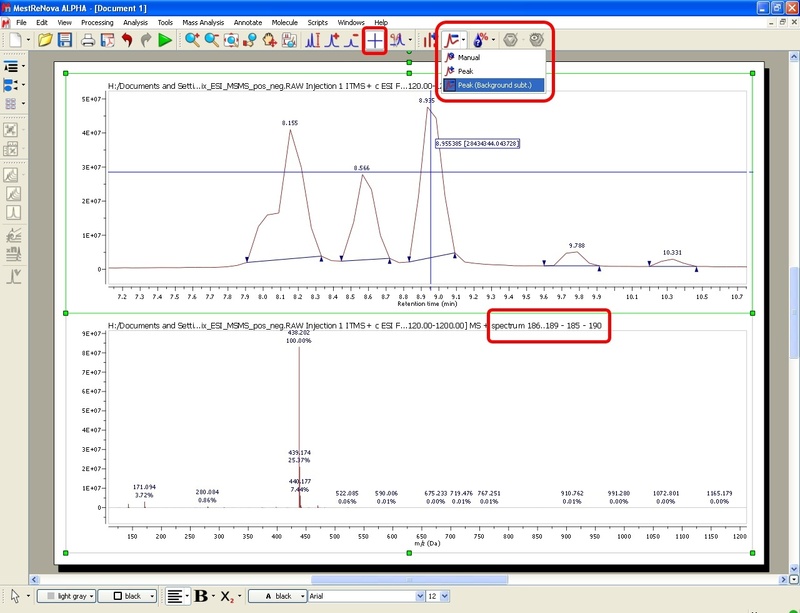 )’ under the ‘Mass Analysis/Spectrum Selection Mode’ menu, and click on the desired TIC peak. 5. Add another MS spectrum to the page, just by clicking on the ‘Append’ button . 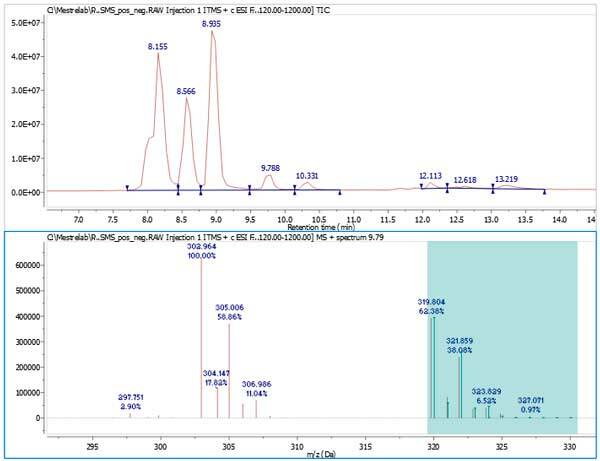 Next, select the spectrum as shown above. 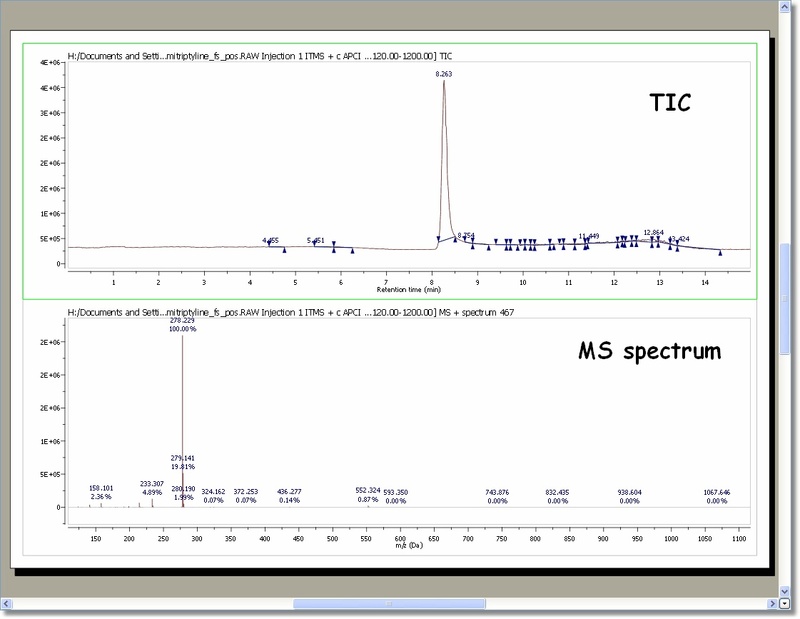 In this case we have added the MS spectrum 738 which appears at 12.90 min. 6. 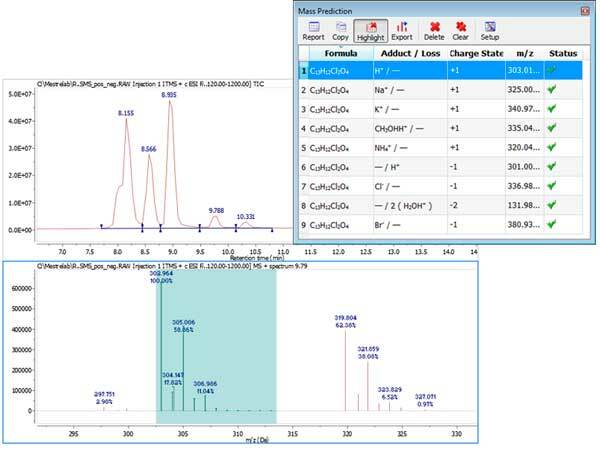 Molecule match analysis determines the possible presence of one or more given structures (or molecular formulae) within a mass spectral data set. 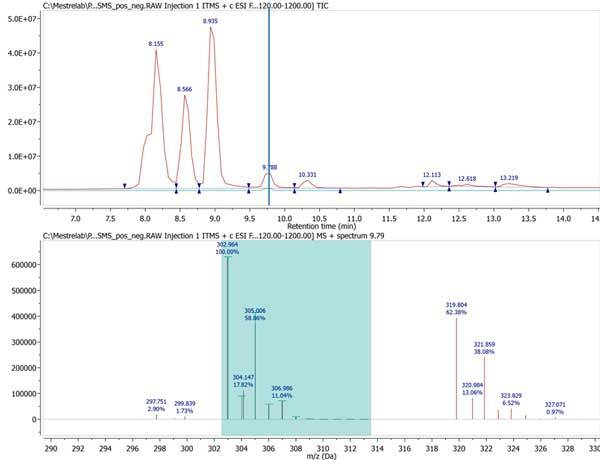 The isotope cluster of each structure is computed and compared to each spectrum in the data set, and the mass spectrum with the best match that returns a score above the preset threshold is taken as a positive match. Otherwise it is taken as “Not found”. 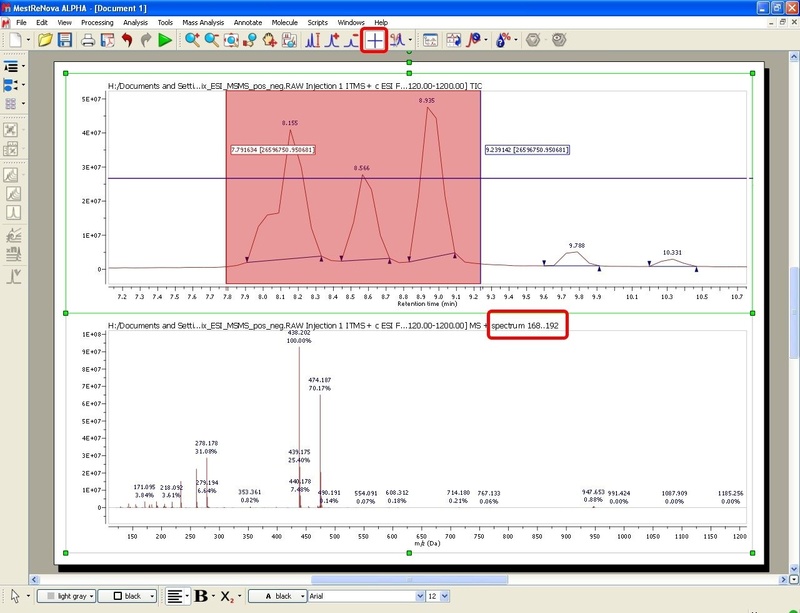 Open an LC/MS data set, and open one or more structures. 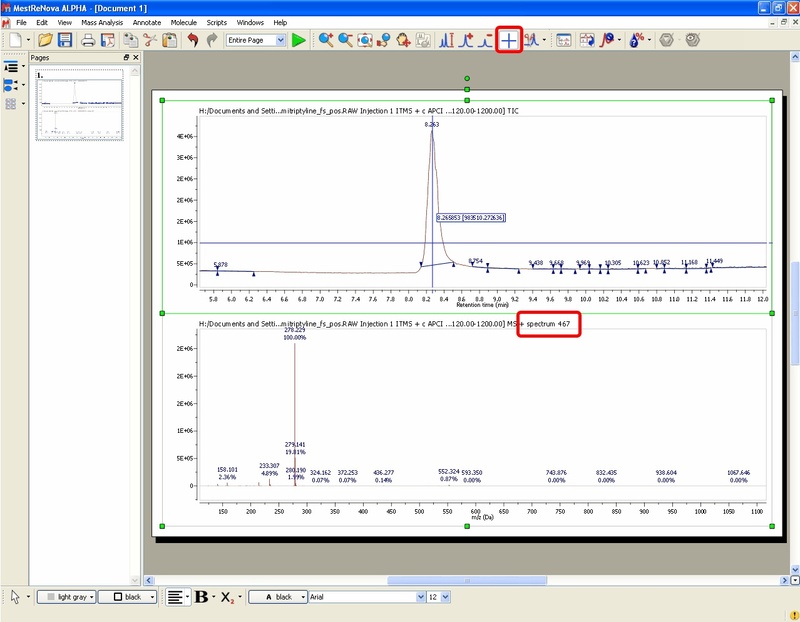 Click on the ‘Calculate Molecule Match’ button of the toolbar . Choose ‘View/Tables/Molecule Match’ to open the Molecule Match Table. 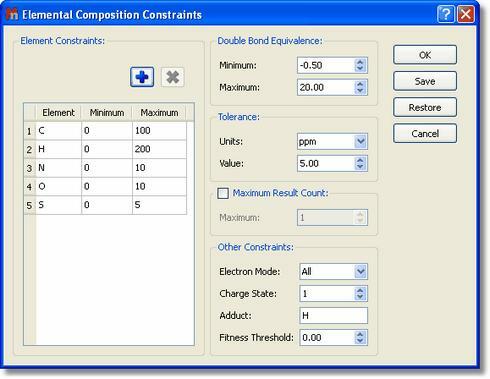 This table contains the status of each structure or formula – matched or not found, and other information such as Retention Time, Match Score, Adduct/Lose etc. Finally, the user will be able to save , print or export to PDF , the document by clicking on the corresponding icon in the toolbar. Check all the MS plugin features.